HA NOI (VNS) — Lack of capital and incentives are hindering the relocation of polluting workshops from residential areas, Deputy Director of Ha Noi's Department of Natural Resources and Environment Nguyen Huu Nghia said. 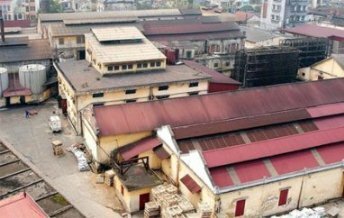 In 2009, Ha Noi proposed the relocation of polluting industrial workshops to the Prime Minister, with the goal that by the end of 2015, all such workshops would be relocated. However, only 41 out of 222 polluting workshops have so far been moved out of urban areas. Nghia said the negative reaction of the business owners was one of the greatest difficulties in relocating polluting workshops. Most of the businesses hesitated to shift out of the city, he said, as they wanted to take advantage of the convenient location and transport services for their production. Due to limited financial capacities, businesses didn't want to invest in clean technology, and waste and wastewater treatment, he said. He said the city's incentives for businesses that needed to be relocated were not attractive enough to encourage them to switch to industries suitable to the environmental conditions, change the purpose of land use or voluntarily move out. To accelerate the relocation process, the department asked the Ha Noi People's Committee to focus on reviewing land use and the pollution levels of manufacturing workshops. A list of workshops that posed a high risk of environmental pollution and to be relocated in the 2015-2020 period will soon be released. The People's Committee should adopt tough measures in dealing with polluting businesses that refuse to move, such as forcing them to stop production or withdrawing the land use right.